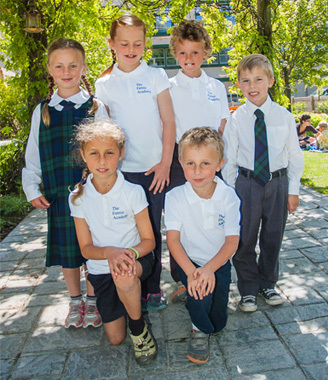 The Fernie Academy accommodates Kindergarten through Grade Twelve for the 2018/19 school year. The Fernie Academy elementary division (K-7) is based on an entirely academic morning followed each afternoon by recreational and cultural pursuits. The school follows BC Curriculum and is staffed with highly qualified certified teachers and instructors. The High School (Gr 8-12) offers a wide range of academic and elective courses including three languages and a full complement of fine arts and applied skills. All students enjoy a high level of daily activity with K-10 participating in daily PE. Through the variety of experiences at The Fernie Academy students are faced with many opportunities and challenges. Students, their families, and staff work together to create a positive and supportive environment where the children strive to develop their full potential.As a result, the community created within the school fosters a secure and inspiring learning environment and encourages students to aim for excellence in all aspects of their lives.